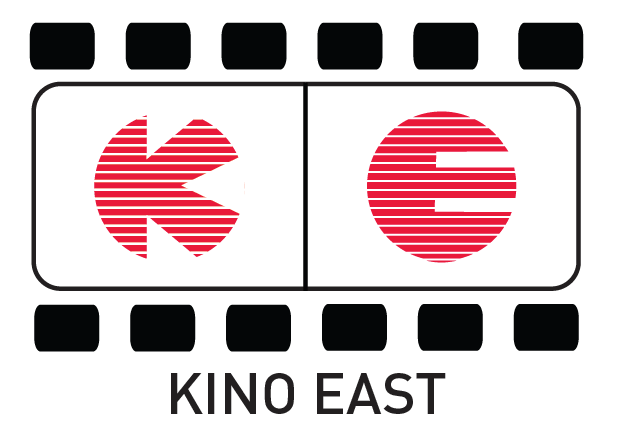 When looking at cinema from the Socialist era, the year 1968 is a pivotal point for the national cinemas of the former Eastern Bloc. While 1968 is seen as the zenith of artistic freedom under censorship, the period right after it was particularly oppressive as an attempt to strengthen socialism in the region. While other countries attempted to turn back time and return to a more heavy handed approach, Hungary took a different perspective on the prescribed regimen of the Soviet Union, and adopted a pattern of paternalism. This new form of socialism drew its strength from requiring individuals to only support the State outwardly, but let the citizens have more freedom in their private lives. Censorship in the State shifted from solely existing as a bureaucratic arm of the Party to a shared existence between the State and the artist. With the responsibility shared, the creators along with their peers opted to self-censor their work under this existing socialism. 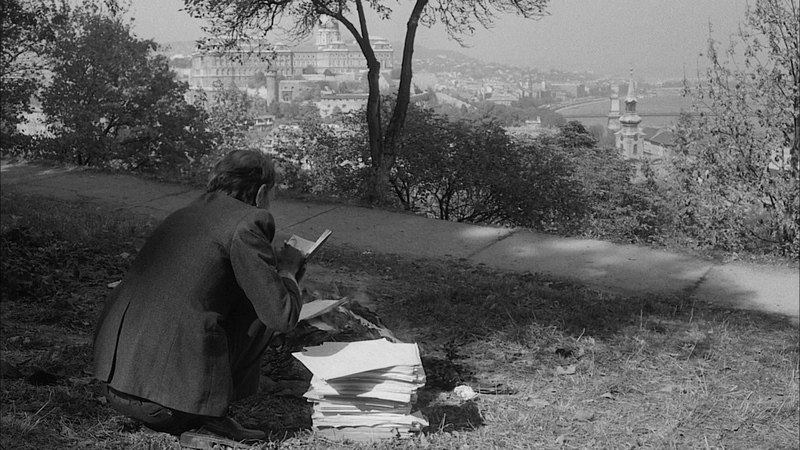 In Haraszti’s The Velvet Prison he describes this situation as “a new aesthetic culture” that “has emerged in which censors and artists alike are entangled in a mutual embrace.” As such, the outright banning of films and blacklisting of directors in Hungary is insignificant when compared to the devastation the film community suffered in Czechoslovakia due to the Prague Spring. 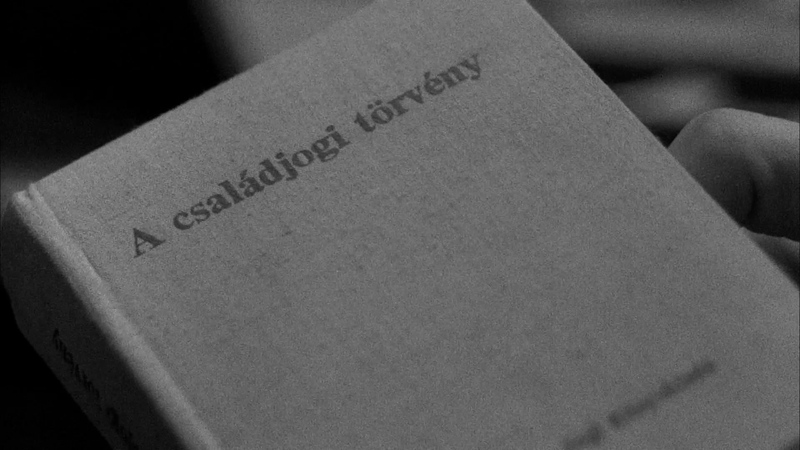 Reading the available books on Hungarian cinema, a point is often made about how few films disappeared at the Ministry of Culture apart from Péter Bacsó’s comedy A TANÚ (THE WITNESS, 1969). It is also arguable that Bacsó’s films never reached a similar level of criticism that was found in A TANÚ. A product of Kádár paternalism, we can see the self-censorship that Haraszti described in how Bacsó opted to neuter his political commentary for reassurance his future work would be found on the silver screen. However, all of this is contrary to the experience of Gyula Gazdag, who at one point had nine films that were actively suppressed. A talented director who works in film and theater, his feature film work is diverse and his documentary films are innovative. Gazdag’s film career began at Balázs Béla Studio, a film studio that was originally founded to help filmmakers transition from school to the industry, and later found itself the source of experimental and dissenting works. Since the films created here rarely screened outside of the studio, more creative freedom was afforded to them. Gazdag pioneered the documentary style at Balázs Béla Studio, creating films that exposed the hypocrisy and social issues plaguing the State. In an attempt to display some of the most absurd practices, it was his hope that once these hypocrisies were seen, they would not be repeated. Unfortunately, that was never the case, but it did inspire a wave of other directors at Balázs Béla Studio. Examining some of Gazdag’s early documentaries and features help us to see the groundwork that was laid for some of the themes found in HOL VOLT, HOL NEM VOLT… The documentaries work to expose the illusion created by the State and highlight the unshowable power beneath these illusions. Looking at these early documentaries, we see a pattern in which the State is unconcerned with anything that is important to the individual, and overly concerned with maintaining its semblance of power. Along with these, Gazdag’s debut film also laid the groundwork for HOL VOLT, HOL NEM VOLT… However, unlike the documentaries, the theme focused on in the debut film is concerned not just with the illusion that the State creates, but how it affects the individual. With the understanding that Hungarians are used to the concept of reading between the lines, one can better understand how Gazdag entrusts the audience to draw its own conclusions had more power than directing their understanding; a skill that is more aligned with the State. These early works of Gazdag allow the audience to see the realities that the State tries to shroud in illusion. 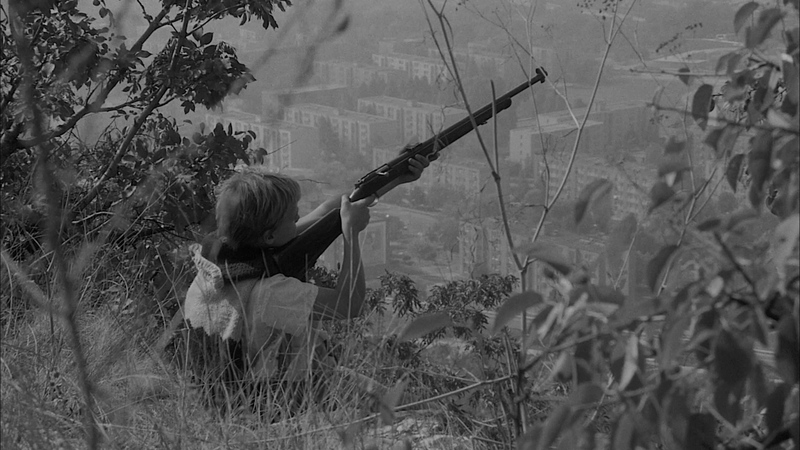 In Gazdag’s early documentaries, HOSSZÚ FUTÁSODRA MINDIG SZÁMÍTHATUNK (LONG DISTANCE RUNNER, 1969), A VÁLOGATÁS (THE SELECTION, 1970), and A HATÁROZAT (THE RESOLUTION, 1972) we get to see the Party’s influence and its control through some of the minor events that were a part of daily life, such as a celebration of a local celebrity to selecting a band to entertain young factory workers. These more subtle moments expose the influence of the State’s power and the illusion of its humanism. Beginning with HOSSZÚ FUTÁSODRA MINDIG SZÁMÍTHATUNK, Gazdag directed a short documentary about a local athletic celebrity who is a long distance runner. György Schirilla, the runner, embodies the Socialist Myth as his runs often travel from Budapest to Moscow. 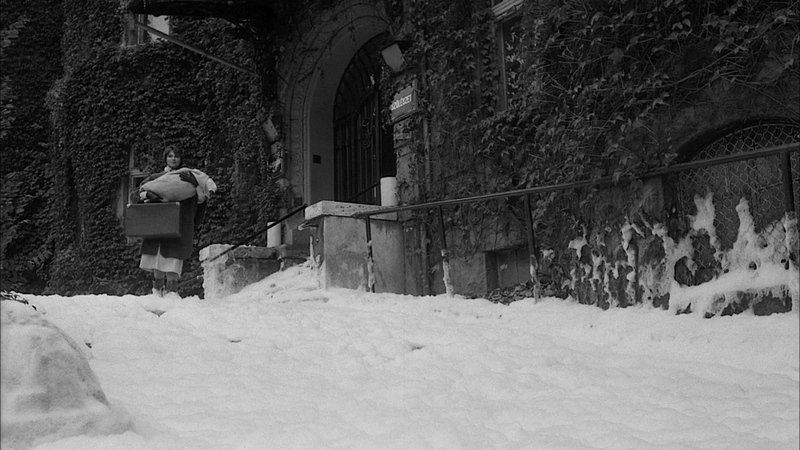 The documentary crew follows György as he returns to a town he once stopped at for a drink while attempting one of his runs to Moscow. The town is celebrating György’s feat by opening a cafe in honor for him but ironically a law created in the post-Stalinist era disallows the honor of naming points of interests after living people. Because of this issue, the ceremony is awkwardly comical, as Schirilla is a minor celebrity but the ceremony itself is excessive. While the small town is disappointed that the cafe cannot be named for the runner, Schirilla expresses his own disappointment with the size of the crowd being small. Gazdag would refine this process in A VÁLOGATÁS, a documentary that focuses on a local factory’s search to hire a band for entertaining the youth who are employed there. It soon becomes obvious that the Party wishes to use the musicians to promote the Party’s message; their guidelines for hiring a group never once discuss talent. This documentary parallels perfectly as a metaphor for the experience of censorship within the film industry. A VÁLOGATÁS displays that paternalism through the Party’s diverse criteria for selecting a band, none of which include talent, skill or ability. At the same time the band is being selected not to entertain the workers but instead keep their time preoccupied. The censorship serves a dual purpose of controlling the artist and the audience. What works so well for Gazdag’s documentaries A VÁLOGATÁS and A HATÁROZAT is how they are firmly grounded in reality. The camera watches in on Party meetings as a spectator, never influencing the situation. Yet at the same time, the scenarios that the Party is involved in seem frustratingly absurd. In A VÁLOGATÁS, the Party officials seem to have no knowledge of music and yet they are the ones to choose the entertainment. They hold a competition where they are the judges and yet the audience seems apathetic to the music. Meanwhile in A HATÁROZAT The co-operative workers are dumbfounded as to why their leader is being recalled, and the process to recall him is purposely confusing and misleading. These two documentaries chronicle the absurdism that exists within the reality of the socialist system. 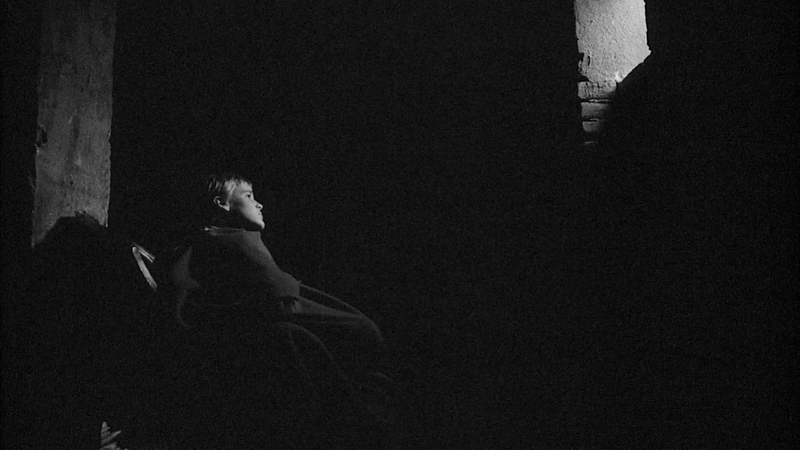 Between A VÁLOGATÁS and A HATÁROZAT, Gazdag released his first fiction feature film, A SÍPOLÓ MACSKAKÖ (THE WHISTLING COBBLESTONE, 1971). 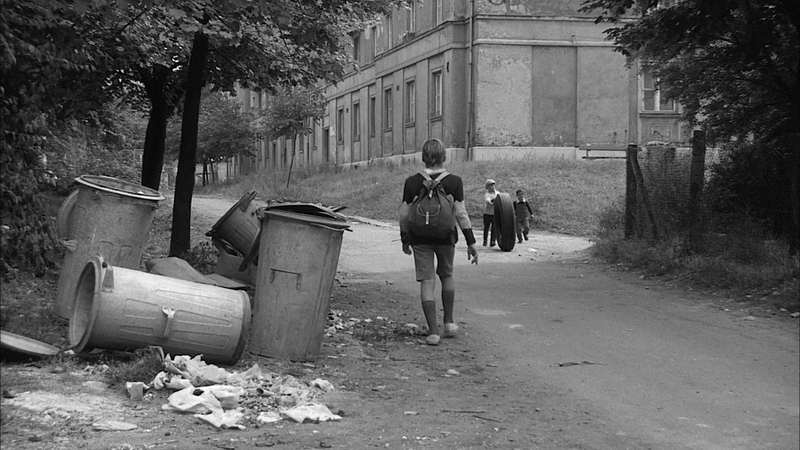 This film tells the story of young boys who go to a work camp, but find that there is no actual work to do. Instead, they take part in pointless exercises and competitions. When a few of them are offered work by a local farmer, they sneak out at night to help work, but are later reprimanded by the camp. This contradictory nature, along with the inept leadership, seem all too familiar to the politics at the time. Here we see the influences on the individual that the illusion of the State creates. The lack of work for the kids seems like a blessing, but is a painful reality for adults who need the work. We also witness in these scenes how the illusion created by the State influences the younger generation by teaching them the skills they need to cope under socialism, such as reading between the lines and rooting out “traitors”. Unfortunately, this is one of the films that is still elusive for audiences to view today. These early works help to better understand the refined ideas that are present in HOL VOLT, HOL NEM VOLT…, Gazdag’s fifth feature film. The title of the film directly translates to “It happened, It didn’t happen…”, the Hungarian equivalent of “Once upon a time…” but when taking into account Gazdag’s previous oeuvre it seems aptly titled. HOL VOLT, HOL NEM VOLT… feels like a return to Gazdag’s debut film, the satirical musical BÁSTYASÉTÁNY HETVENNÉGY (SINGING ON THE TREADMILL, 1974). Both films have complex ideas about the effects of Socialism and the State on the individual by presenting the realities that the State obscures. Central to HOL VOLT, HOL NEM VOLT… is a Hungarian law that requires a new birth certificate to be issued to children who were lacking a parent present at their birth. Under this law, a fictitious father is created, whose name, occupation, or address can’t hinder a child’s future. One can speculate as to the intent behind the law, perhaps tied to political dissenters to prevent honoring them, or to beneficially help children tied to those that have been ousted. Nevertheless, what is crucial is the hypocrisy of the law. While its stated purpose is to benefit the children, potentially from a problem the State itself has created, the law does nothing to help children with the reality they face. The Hungarian family law which is at the focus of HOL VOLT, HOL NEM VOLT… continues the false sense of humanism that feels pervasive within the Party. While the law itself is clearly real, its helpfulness is a farce. With issues such as housing shortages or employment, the idea of needing a fictitious father on a birth certificate to help a child seems absurd. Gazdag first heard of the law around the time of the birth of his son, and began writing a script around 1980 with long-time collaborator Miklós Györffy. It was his intent to originally create a realist drama, but as he started to reach its conclusion, the narrative only became darker. This led Gazdag to the idea of introducing the fantasy elements into the film to provide a more positive conclusion. While discussing the film with Gazdag, it was interesting to find out that the Hungarian family law still exists in contemporary Hungary, though it is in a slightly different form. With the addition of fantasy into HOL VOLT, HOL NEM VOLT… several new perspectives help the audience to analyze the film. While a majority of Gazdag’s work is critical of the State and the Party, there is more subtext to the film than solely political commentary. Questions about why the central characters keep turning from their realty to seek out fantasy extend beyond socialism’s grip, though it is also certainly a product of it. More importantly, it challenges not just the socialist stance, but the cultural shift away from the individual. The concept of the importance of the father, both fictitious and real, can be analyzed in congruence with Lacan’s Nom du père for readers familiar with it. 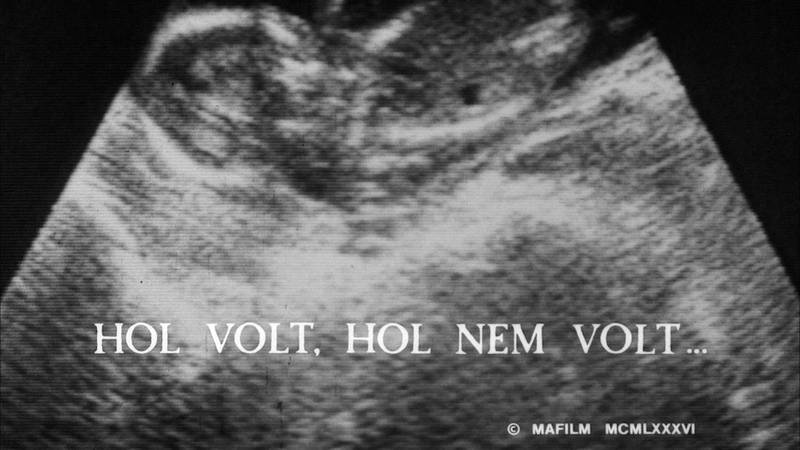 HOL VOLT, HOL NEM VOLT… is unique in the way that it separates itself from other films released in Hungary and the former Eastern Bloc. The traditional way of exploring contemporary problems that could not be openly discussed was often done through placing the film in a past historical event, which often leads to a comparison of the past with the present. While this style is practically mastered in the former Eastern Bloc when compared to the West, Gazdag rejects this trend. By placing the film in the present and straddling the line between reality and fantasy, HOL VOLT, HOL NEM VOLT… has a much more open framework, allowing audiences to see the film as commentary on past, present and future, focusing on issues that are both Hungarian and international. This open framework of the film gives me the opportunity to discuss the importance of the imaginary and the real for both the State and the Individual. As noted, the Hungarian law that inspired the writing of HOL VOLT, HOL NEM VOLT… has a particular effect for the individual. The typical Hungarian faced socioeconomic issues that would only be compounded in the situation of a single parent. Housing, employment, and inflation were all still important issues and only increased as the 1980s began. As a single parent solely responsible for the care of a child, these socioeconomic pressures would only add difficulty. With this mindset and context, the passing of the Hungarian family law is laughable when contrasted with immediate needs of food, shelter, employment, and childcare. This law serves to highlight the surreal nature of living under Party rule during this time. The pretense of fatherhood, contrasted with the difficulty of everyday survival under a State that constantly projects its importance in Hungarians’ everyday lives, surpasses irony and becomes something unrealistic. With such anxiety to deal with in their reality, it makes sense to turn away from the real and instead attempt to live in the imaginary. HOL VOLT, HOL NEM VOLT… presents two of these imaginary existences, that of Maria and her son Andris. Maria’s fantasy dominates the beginning of the film and also influences her son’s imagination. The first scenes of HOL VOLT, HOL NEM VOLT… are some of the film’s most beautiful and intoxicating moments, and ones that also serve to display the themes and motifs that are present throughout the film. First, we are introduced to Maria and Andris’ father, a stranger to Maria, as they notice each other in the audience of the Mozart’s opera The Magic Flute. Andris’ father sits high in a booth, and he and Maria begin to exchange glances. The lights dim across the audience, but Maria becomes illuminated, her butterfly brooch glowing in the light. This scene and the following ones are free of dialogue, and only the performance of *Soll ich dich, Teurer, nicht mehr sehn? * from the opera play. This song is significant. It marks the point in which the two lovers, Tamino and Pamina, are about to separate for what they believe is forever. This opera performance foreshadows what will become of the relationship between Maria and her lover. After the opera ends, Maria’s admirer follows her on to a tram, and eventually to a cafe where she seems to be waiting for him. What follows is a montage, as they embrace and spend the night together wandering the streets of Budapest. Their night of romance ends outside of Maria’s door, where her lover gives her a chaste kiss before Maria heads into her apartment and up the stairs looking back. Whether or not Maria’s romance was indeed real, an amount of fantasy is clearly present. This presents us with a central character that has sought out fantasy to cope with her reality. Perhaps Andris’ conception was a painful experience for Maria, and she has created this fantasy for us, and more importantly, Andris. Immediately after Maria’s romance, we see her at the doctor’s office being informed of her pregnancy. Mária Varga’s performance here is fantastic, as well as throughout the film, as we watch her emotions transform from anxiety to pleasure, as she begins to see the potential benefit of the gift she has received. This idea of making the best of a bad opportunity runs parallel with the ideas of reality and fantasy within Hungarian folklore. Maria influences Andris’ youth in a typical mother and son fashion. She tells him imaginary stories of his absent father before bed and plays a vinyl copy of The Magic Flute while Andris falls asleep. The motif of The Magic Flute, along with other influential experiences, such as watching the animated film FEHÉRLÓFIA (SON OF THE WHITE MARE, 1981), will shape Andris’ own fantasy. When both mother and son visit city hall, we watch a young Andris swing a door back and forth, playing with the reflections of light creating an imaginary ocean on the ceiling from the dancing shadows. Gazdag has these reflections occurring throughout the film and they seem to be indicative of youthful imagination, akin to imagining objects in the clouds. This is in sharp contrast to Maria’s fantasy, which is more mature, a fantasy created not to explore but to obscure a painful reality. Maria’s life tragically comes to an end early in the film. In a scene that extends the fantasy elements, pigeons stooped high atop a building knock lose a brick that lands on Maria’s head killing her instantly. At this point, Andris is violently ripped from the safety of his mother’s imagination and forced into reality. Taken from school, Andris is escorted by his teacher to find that his new home is an orphanage. Seeing this, he decides to take matters into his own hands and find his missing father, while the audience quickly becomes aware of the toxic nature of the Hungarian family law discussed above. father whom he can’t actually see. This scene is important as it marks a return to fantasy within the film. In this dream sequence, we watch Maria being interviewed while she talks cryptically about being in the afterlife. She seems to be hiding her face, perhaps to not worry Andris, who is already quite afraid. Andris calls out over and over to his father, who has shut himself off in another room. When Maria calls out to Andris, men come rushing in, stampeding over Maria. A tenant trying to get into the closet wakes him from his dream. At this point, Andris himself has made the crossover, and his reality is now too difficult for him to cope with. All alone in a strange town and seeking out a father he doesn’t know is nonexistent, Andris becomes skeptical of everything. Immediately after his dream, he seems paranoid that the tenant who was trying to get in the closet is following him when in reality he is merely taking his child out for a walk. Gazdag skillfully translates the fears that now grip Andris with the daily realities, such as police surveillance, that faced adult Hungarians. Maria’s fantasy can no longer protect Andris. Two other characters that I have yet to mention help to better illustrate the experience of individuals turning to fantasy from reality, and whose stories run parallel to the narrative of Maria and Andris. One of the early scenes introduces us to Antal Orbán, a bureaucrat whose job it is to reissue these birth certificates under the Hungarian family law. He has been promoted from his job in Újhely to Budapest, and it is Mr. Orbán who informs Maria of the law. Maria recognizes the uselessness of the law and jokingly suggests that the father take on Orbán’s last name. He suggests that the address they create for the fictitious father be in Újhely. When we next see Mr. Orbán, he is assisting another mother, but partway through explaining the law he seems to recognize that he isn’t doing anything to help out these single-parents. This event triggers something in him to undo the work he has done. He collects all these filed birth certificates with fictitious fathers that he has made while living in Budapest and burns them. Mr. Orbán’s character can be seen as someone who has been living in the imaginary, convinced he is doing something for the good of society but being blind to the reality. Whether his acts of burning the birth certificates solve any of the problems, at least he can feel confident in deciding this was the best solution for himself. In a scene after he has burned the Budapest birth certificates he is seemingly unsure of what to do after he has abandoned his life. When a police officer asks him for his papers he seems anxious of being caught for his deeds but is instead falsely imprisoned for being intoxicated. He spends the night in a large open room filled with the other “criminals” who are receiving none of the help they need. This event emboldens Mr. Orbán, and when he is released he sets out to return to Újhely to burn his remaining work. This scene of Orbán under arrest ties in well to an unnamed character that plays a nurse. One needs to pay close attention to notice she is introduced in an early scene, attending to Andris’ birth. She is shown loving her job as a caretaker to those who need help. When we see her later, she is working at the psuedo-jail for intoxication. She is frustrated now, and desperate for her work papers so she can leave and seek a new job. The nurse suffers from the employment anxieties and disillusions about the promises of work that were facing many Hungarians at this time. After receiving her work papers, she sets back home to Újhely. Eventually, Gazdag weaves these three characters together in Újhely, with Andris first encountering the nurse. Recognizing his anxiety, she tries to help Andris, who is now skeptical and resisting help, find his father. All three of these characters seem twisted together by fate, and are finally brought together on a train back to Budapest. Being brought together in such a way feels like some reverse version of the familiar family unit. Orbán seems childish in his desire to simply destroy, a behavior beholden to an older and familiar style of solution. With Orbán acting the child, Andris assumes the position of the head of the family. His potential vision for the future seems like the only hope for a community that struggles with the reality under socialism. Only the nurse seems to take a more traditional family role. Nevertheless, all three are tied together by their desire to change and escape their present reality. Andris, Orbán, and the nurse find themselves in situations unique to their experience, but all have turned from reality. In an Hungarian interview, Gazdag talks about the English title A HUNGARIAN FAIRYTALE ,mentioning that the story could only be born in the mind of a person living in Hungary. It’s not solely the law that makes HOL VOLT, HOL NEM VOLT… a Hungarian story, but the characters need to turn to the imaginary to survive within Socialism. Without fantasy, coping with the reality of the seemingly unchanging state of the country is too painful. Hungarians need to create their individual fantasy in order to survive. Gazdag goes on to show us that this is by no means solely a Hungarian issue by weaving the narrative of the film with folklore and fables. For western audiences, the references to fairy tales are readily apparent. The witch who changes ages and is an ever-changing force of good and evil is not far removed from Grimm’s tales. In the scene in which Andris goes to see his mother’s body at the coroner’s, Maria lays atop the gurney looking like sleeping beauty awaiting a kiss from prince charming. 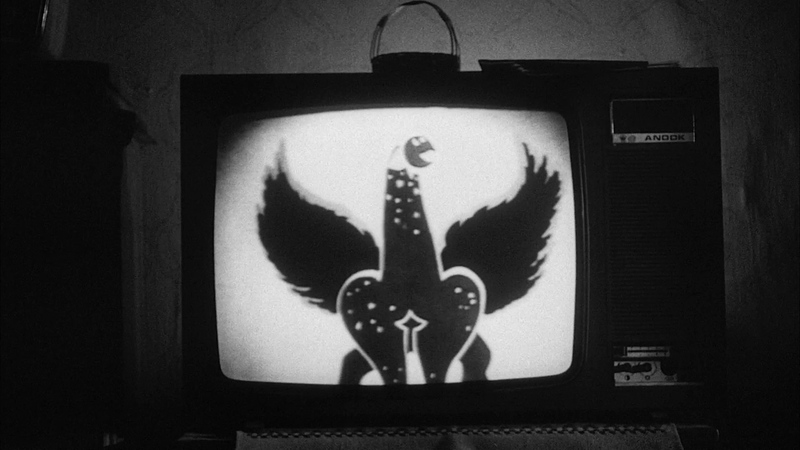 What may not be as easily identifiable to non-Hungarians is the repeated imagery of the Turul throughout the film. When Andris finds out about his mothers death, the classroom he is in is filled with different kinds of birds, a scene that Gazdag cleverly uses Hungarian folklore to show how mysticism and fate is looking out for Andris. For audiences unfamiliar with the Hungarian mythology surrounding the Turul, the bird is represented in two important events. The first tells the story of Emese who is visited by the Turul in her dreams and impregnates her with a son and claims that he will lead their people to Hungary and be free. 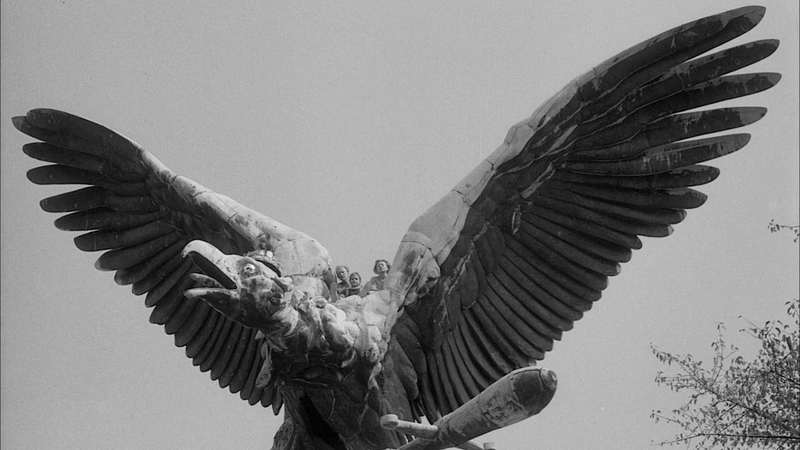 The other myth involves Atilla’s men being attacked by eagles and a Turul fighting off the birds. Later the Turul leads the men to Hungary where they form their home. The importance of the Turul myth for Hungarians can be seen by it’s resurrection in the 19th century, used in part to fuel Hungarian nationalism. Understanding this myth is critical to understanding some of the more Hungarian elements in the film, including its conclusion. The final scene of the characters flying off atop the bird is the most obvious scene with the Turul, but the bird can also be seen at several key moments that influence Andris’ life; the bird watches over Maria and her lover as they tour the city, and the bird can be seen as a paper weight in the doctor’s office when Maria receives the news of her pregnancy. These scenes show the Turul as a looming specter, never directly influencing any of the characters, only serving as a reminder. At the conclusion of HOL VOLT, HOL NEM VOLT… fantasy is in its most rampant state. Everything that has influenced Andris begins to bleed into the reality of all the characters. The influence of The Magic Flute runs high as this modern family unit crosses fields of fire and a lake, miniature versions of the trials present in The Magic Flute. Lines for the opera are sung as they make their way to a large turul statue and fly off together, similar to the ending of FEHÉRLÓFIA and clearly referencing Hungarian mythology. By the end of the film it is clear that creating a fictitious father was not beneficial for Andris; instead, finding a community and facing his anxieties helped him to find a new, non-traditional family. HOL VOLT, HOL NEM VOLT… focuses on the individual, and how Andris copes with the anxiety surrounding his reality. Although Gazdag wishes to bring attention to the individual and the realities they face, the politics of the State is more concerned with focusing on faceless groupings, dehumanizing the individuals of such groups by simply labeling them the “Workers” or the “Capitalists.” The Hungarian Law in the film is the best example of how the State wants to eaffect the totality of the group of single parents, but is not looking at them individually to see how they really need help. Gazdag’s concern with the social issues that affect Hungarians doesn’t make HOL VOLT, HOL NEM VOLT… directly a political film like his previous efforts, but it does allow the audience to draw some commentary about the State. Czech theater critic Zdeněk Hořínek describes the phenomenon of how all works of art can become political in the totalitarian society. On the subject, Hořínek said “in the 1960s, politics meant something different than it does to an English readership today. In the 1960s Havel wasn’t writing about politics exclusively, he was criticizing the whole of society in general. After all, at the time, a man had to live in a society with which he did not agree. So everything in the 1960s had a political context and meaning, intentionally or unintentionally. And the view that everything was political worked both ways – not only from the authorities’ point of view, but also from the audience’s”. 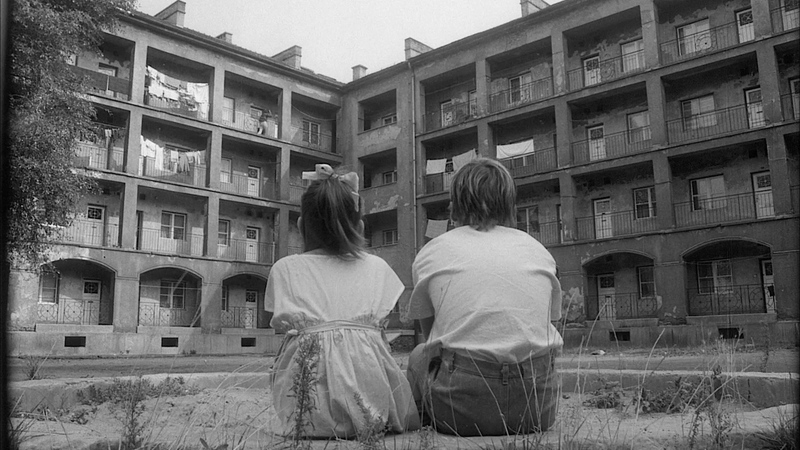 Because of the totalitarian nature of living in Hungary, from the cost of food to the problem of unemployment, it gives us the freedom to also look at how the State fails the individual within the context of the film and its usage of reality and the imaginary. J. Hoberman writes about this imaginary future in Socialist Realism in his book The Red Atlantis. For example, the Palace of the Soviets, what would have been the tallest structure and seat of government, was endlessly discussed, painted, and redesigned but only the foundation was ever laid. Hoberman describes this building as the quintessential example of the myth of Socialist Realism, an idea that is discussed and presented as reality but never actually in existence. The real perversion of this myth comes when the State decides the past no longer fits with the new narrative. The same Party who propped up Mikheil Chiaureli’s film Клятва (THE VOW, 1947) as a piece of Stalin’s cult of personality was later cited by Krushchev when he denounced Stalin at the Twentieth Party Congress. One merely has to look at the State’s use of Socialist Realism to understand how the State manipulates reality by creating works exhibiting the future that the State hopes to create. However, that future only existed within these works and the imagination of bureaucrats. Understanding the irony that these Socialist Realist works presented helps to draw an understanding of the frustration Gazdag has with the Hungarian law presented in his film. The State’s illusion extends beyond this law in the film and is present through many of the scenes. Andris is already aware of the oppression that looms over him; despite his age, the primary anxiety that drives his fears is that of being caught and taken to a State orphanage. He knows not to return to his home after his mother’s death, as the State owns his apartment and has free reign to pull him from it. Because of this, Andris opts to hide in a shed that has a view of his front door so he can wait and watch for his father to return. On the other end of the spectrum, Orbán embodies the socialist myth at the start of his character arc, buying into the belief that he is there to help people. However, his false arrest for being intoxicated and seeing how other prisoners are being “helped” by the State, lead Orban to also uncover this political illusion. For the character of the Nurse, we see her passion to help others crushed in the gears of the system. Her need to help others comes second to the State’s whims of employment. We are reminded that the State is the sole employer in Hungary and it will be the sole decider when you want to seek new employment. The character’s experiences aren’t the sole source of the influence of the State’s illusion. 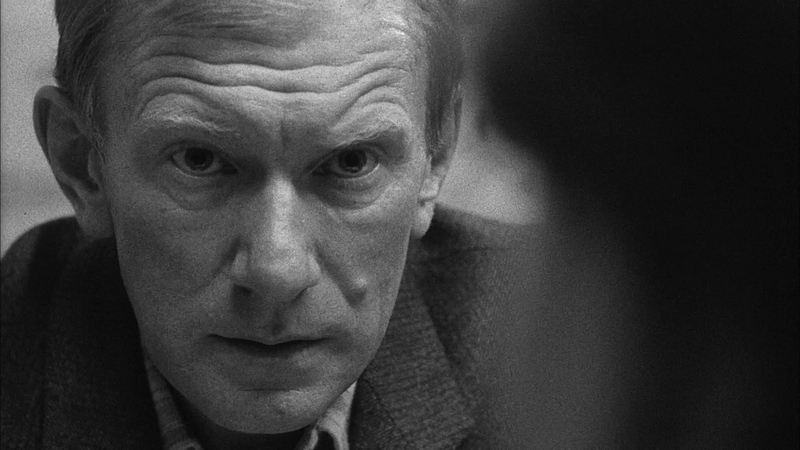 The scene that best shows the unreality of the State occurs after Andris’ dream. While hiding due to his paranoia of being followed, Andris blends in with other kids who appear to be members of a socialist youth camp as they practice military drills. The scene goes as far as to show the kids training with rifles, learning to fire, unload and position themselves with the guns. While talking with Gazdag about production of the film, he discussed other’s concerns about this scene as being potentially disturbing. While the idea of training children how to shoot firearms and teaching them romantic ballads about being a soldier is quite disturbing, the event is not removed from the cultural reality of socialist Hungary. 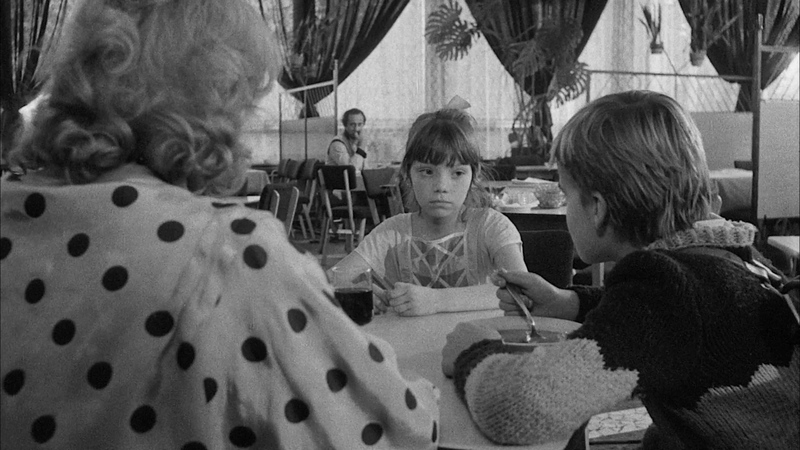 Summer camps indoctrinating children with the Socialist Myth were typical across the Eastern Bloc and extensively explored in Gazdag’s A SÍPOLÓ MACSKAKÖ or other films such as DRESZCZE (SHIVERS, 1981 Dir. Wojciech Marczewski). Gazdag cleverly recalls this scene later in the film, when the trio of characters is aboard the train returning to Budapest, and a group of intoxicated men are mockingly singing the same song the kids previously sang. This song is also used in a similar way to the songs in BÁSTYASÉTÁNY HETVENNÉGY by showing that, as generations grow up in socialist Hungary, little change occurs. The lyrics never change, always promising a better future that never arrives. They exist solely to prop up the expanding illusion of the State. Andris also seems to understand the lifestyle of living between the lines in a totalitarian society. Returning to The Velvet Prison Haraszti describes the progression of an unofficial Hungarian economy that exists in the margins. The concept of paying workers extra for work the State would do more slowly or deem unnecessary comes to exist, as people need more than what the State wants to provide. Gazdag shows that even a child can grow to understand this unofficial economy, as we see Andris quickly stuff money into the pocket of the coroner in both a way to say thanks and to keep quiet. Some of the earliest and obvious examples of the State’s fiction can be found in the show trials and the endless purges, rewriting the Party’s history. These trials are far removed from the reality of any previous sense of law in Hungary, but at the same time fulfill the requirements of the Socialist Myth to its fullest. Fake testimonies and zero evidence were met with suppression, torture, or execution. When the show trials began in 1956, Gazdag would be around the age of Andris in the film. By 1986, directors, artists and writers like Esterházy were tired of living between the lines and found a political climate that allowed creators to finally revisit past events, such as the 1956 Hungarian Revolution. Tired of the lies that had surrounded them for decades, they finally felt safe to speak out more openly. But for Gazdag, he had sought to overturn those stones in the 1970s, hoping that if he presented the Party’s hypocrisy that it would never be able to repeat those mistakes. What he found instead was active oppression of his work, and no answers when he called to the Minister of Culture. By the 1980s, perhaps with the birth of his son, he saw the chance for a new generation to change Hungary and lead it to a new plateau, guided by the generation who had existed solely under Socialism. HOL VOLT, HOL NEM VOLT… shows all the growth one would hope that time and experience would bring. The film also manages to take a painful reality and find some hope within it. Instead of finding the faults of the present in the waves of the past, Gazdag instead shows us that our experience can be a foundation for growth.